So I don't know about you but I love printed clothes, whatever it is it can be a jacket, t-shirt,skirt or a pant. I just love print. They give this creativity in the outfit that I like, as you can wear something really simple and add print somewhere and it will change the whole outfit. This printed pant that I am wearing is so comfortable, I have mixed it with my Zara over sized denim jacket which I think was making a good match. I love your pants! Where did you get them? 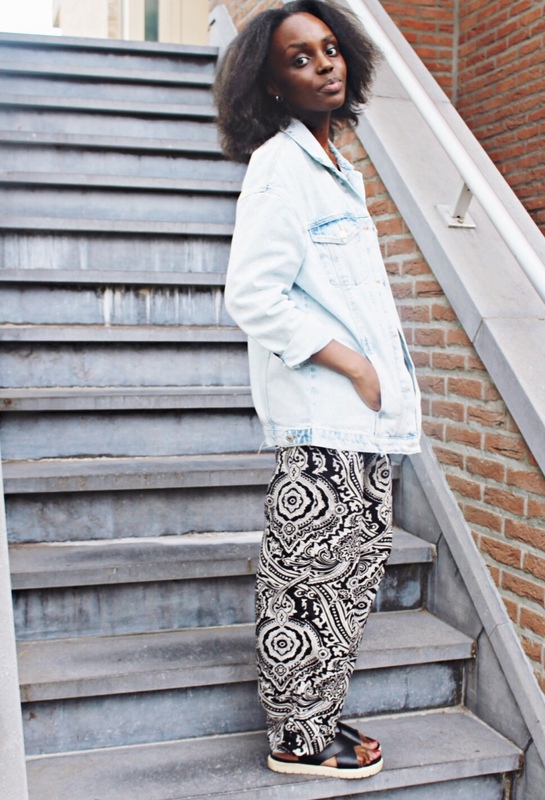 awesome pants, love how you styled them! Great outfit. layback and comfy. Love how you styled it. I like how relaxed and comfortable you look without losing the fashion sense. The birkenstock-esque (or is it?) sandals pulls the outfit together with its black and white tone. Great look. Crazy pants, just like I love them! these pants are amazing! I love them! I just found your blog and it's full of inspiration I love it. I know you'lll ove mine if you come and visit! That pair of pants is gorgeous and I love how you've paired it with a denim jacket!!!! cool outfit! 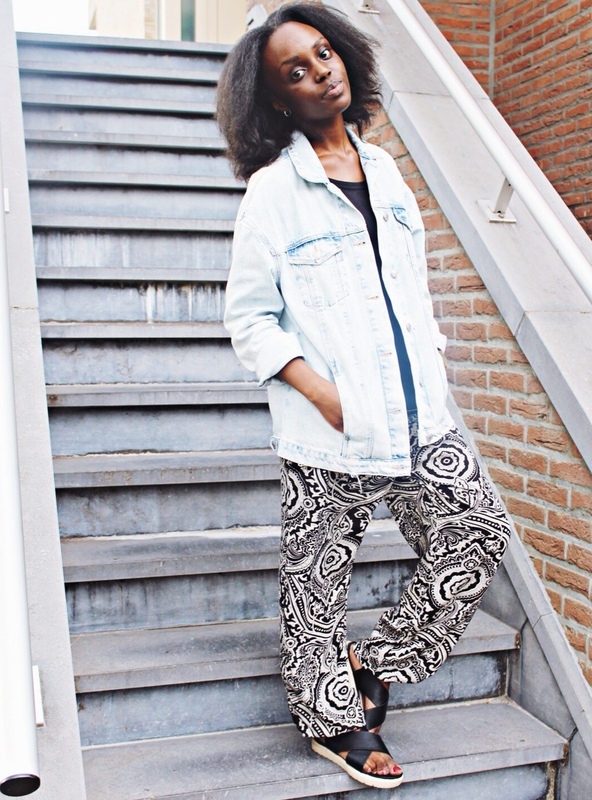 really like the prints of your pants! Lovely, your shoes are perfect and I love the denim jacket sooo much. LOVE prints, and this one is so fun! By the way, great shoes! great look! love your pants!! You have such an original and unique sense of style. I would've never thought to pair a denim jacket with harem pants.